Thanks to brother David Kwok of Torrance BOL, for taking the pictures for us. Please enjoy and thank God of His great blessings. 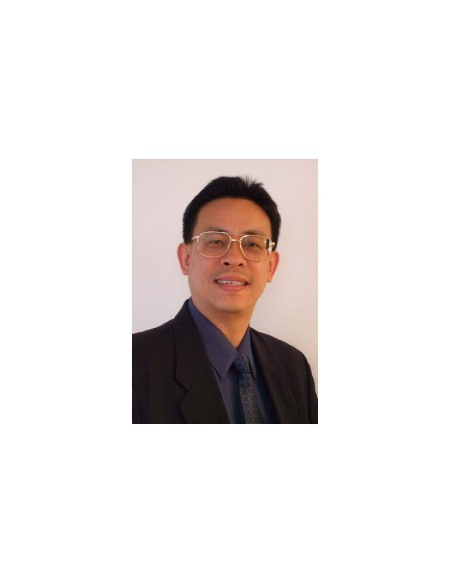 The following is from brother Jimmy Chui of Toronto Grace LLC. He wants to share this with you too. LLWWEMA is the abbreviation of Ling Liang World-Wide Evangelistic Mission Association (基督教靈糧世界佈道會 聯會). Ling Liang (靈糧), these two phonetic Chinese words have a very important meaning. Literally, it is "Spiritual Food" or "Bread of Life" (in English). And Jesus said to them, "I am the bread of life. He who comes to Me shall never hunger, and he who believes in Me shall never thirst." (John 6:35) ... yes, Ling Liang is more than ever needed by the busy people World-Wide! Join us and learn more about our ministry! As the current LLWWEMA President, I wanted to express my warmest welcome to you. Your support and prayers to our ministry and to all member churches of our Ling Liang family are very important. I thank God for all our Committee members as they are dedicating diligently to serve. We pray that through the coordination of the Association, our member churches will complement and strengthen each other so that we will have a greater concerted effort to fulfill the Great Commission that our Lord Jesus is charging us. May God be the glory! In 1908, Rev. Timothy Dzao was born in Shanghai and answered God’s full time service calling in 1925 during the time of Shanghai Great Revival. Around 1949, he became the most widely traveled evangelist and is also the first pastor starting the world-wide mission from the base of an individual local church. IN 1936 and 1938, while he was pasturing in the ??? Church of the Shanghai Covenant Church denomination, and after twice conducted evangelistic meetings in South East Asia island, Rev. Dzao deeply felt that “now is the time for Chinese Churches to GIVE … we sincerely hope that Chinese Churches can organize a mission organization dedicated to give our ability and financial resources to God for foreign missions” (Rev. Dzao, “Journey of Mission”. Vol. 1, page 69). After the Pacific War of Pearl Harbor attack on December 8, 1941, the ministries in China which used to receive supports from foreign missionary organizations faced great difficulties. This situation inspired Rev. Dzao and his co-workers to be even more determined to establish a non-denominational Chinese church based world wide missionary organization. In a night of June 1942, Rev. Dzao and other 5 other co-workers, after keeling down and praying in an empty yard of Huang JiaSha garden, they decided to name this missionary organization as “Ling Liang Church”. In August 1942, the Ling Liang Church started Sunday service using the auditorium of Xiejin High School, and used its classrooms as the Seminary and Bible School for training the ministers. This Shanghai Ling Liang Church later became the parent church of the Ling Liang World-wide Evangelistic Mission. After September 1942 when the first Ling Liang Church was set up in Shanghai, other branches of Ling Liang Church were also established in Nanjing, Hangzhou, and Suzhou. Since October 1942, Shanghai Ling Liang Church had started spreading gospel to the twenty thousand Jewish refugees who escaped from the Nazi and Hitler’s prosecution and came to Hongqao region. Many member of the church offered financial assistance to these Jewish refugees, and two female co-workers Esther Wang and Minyuen Lee led these Jews in bible study conducted in English. As to Rev. Dzao, he would hurry to lead the Sunday worship services for the Jewish people in Hongqao every week after he finished the Sunday Worship service at the Ling Liang Church, until the end of World War II in 1945. During that period, Rev. Dzao also provided financial and other assistance to some of the foreign missionaries who were kept in the Japanese Concentration Camp. In 1945 when the Sino-Japan war was over, the Ling Liang World-wide Evangelistic Mission was established in Shanghai. The goal of this Mission is “Wishing God will also use us Chinese ministerial workers to spread Gospel in foreign counties, starting from Shanghai (Jerusalem), expand to the whole China (the Land of Judea) and countries in Far East (Samaria), till the end of the world” (Rev. Dzao, “Journey of Mission”. Vol. 1, page 115). According to this goal, the Ling Liang World-wide Evangelistic Mission was preparing to expand its ministries from the original Ling Liang Churches in and surrounding Shanghai to major cities in Southern, Northern and Western China, then to rural villages, and to set up Kindergartens, Elementary Schools, Orphanages, Elderly Care Centers, and Eastern China Seminary in Suzhou to train ministers for pasturing and missionary ministries. After 1949, Ling Liang World-wide Mission expanded to outside of China, setting up branch Ling Liang Churches in Hong Kong, Taiwan, South East Asia, Japan, North America, UK, and other places. In 1955, Rev. Dzao founded the Christian Cimoeiel University in Jakarta, Indonesia, in February 1956 he also established a Missionary College there. Rev. Dzao himself would traveling all over the world to lead evangelistic meetings, to bring spiritual revival to Chinese churches as well as churches in foreign countries; especially in May to June 1965 he lead over 200 evangelical meetings in five major cities in Korea, and spread Gospel to over half million Korean people, as an example of one of his many cross-culture missionary efforts. Over the past decades, Ling Liang World-wide Evangelistic Mission has been using church planting as the major way of missionary work. As an example since 2003, Torrance Bread of Life Church has been involved in the Mexico Outreach Missions (Ling Liang para Mexico) to participate in setting up churches to spread Gospel to local Mexicans. At the present time, there are many Ling Liang Churches or Bread of Life Churches planted in many nations; and these churches again are planting new churches in their own country or expanding by planting new churches in other countries. These are evidences, as declared by Rev. Dzao in his book “Journey of Missions” Vol 2, page 87, that Ling Liang World-Wide Evangelistic Mission is a evangelical organization and not a denomination, all our missionaries are not salaried workers but are dependant to God’s provision by faith. All local Ling Liang Churches or Bread of Life Churches are independent in its own decision making regarding its policy or financial matters. Therefore, although the Ling Liang Churches or Bread of Life Churches in the world may have different ways of ministering the congregations, praising the Lord that all churches have one common vision to conduct evangelistic mission in accordance to the Great Commission from Jesus Christ. This photo shows early days of BOLCC Taipei, where Rev. Dr. Timothy Dzao, the founder of both LLWWEMA and BOLCC Taipei, with Brother Kuo, the pastor of BOLCC Taipei then, are in in the center. Churches within LLWWEMA and churches planted directly or indirectly by Bread of Life Christian Church in Taipei (BOLCC Taipei) are from the common origin, both founded by Dr. Timothy Dzao, and many Christ loving brothers and sisters.